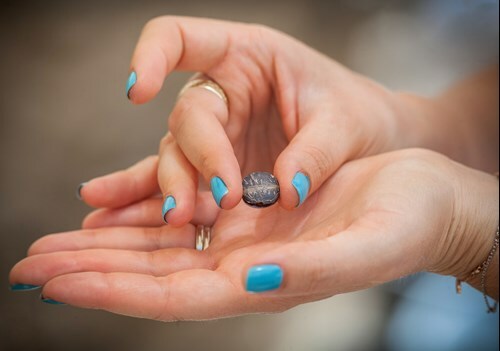 A 2,600-year-old clay seal, about a half-inch across, may prove to be another weapon in the contemporary debate over the status of Jerusalem. 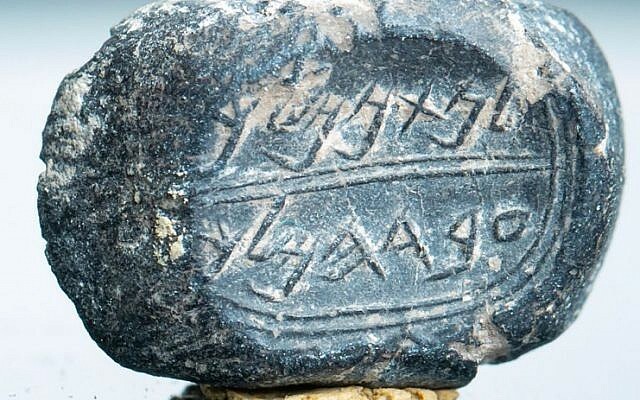 The one-centimeter artifact, the first burnt-clay impression that offers evidence on which Nathan-Melech’s name appears, was discovered a half-year ago during archaeological excavations in the Givati Parking Lot on the western slope of Jerusalem’s City of David, near the Old City. Announced recently, the find serves as tactile proof of the Jewish claim to an ongoing presence in Judaism’s holiest city. The Jewish connection to Jerusalem has been the subject in recent decades of political-historical-religious debate, escalating after Israel took control of all of Jerusalem in the 1967 Six-Day War. In the context of ongoing Israeli-Palestinian disputes, Muslim scholars, supported by United Nations bodies and other opponents of Israel, rigorously deny any Jewish claim on Jerusalem or any part of the Holy Land. They discount biblical accounts of Jewish settlement in rule over the Promised Land. The seal was found in the remains of a First Temple structure — on an 11-acre site that had become the capital’s administrative center – that probably was destroyed during the Babylonian conquest of the city in 586 BCE. Israelis have alleged that Islamic authorities in the Old City frequently destroy historic artifacts that would reinforce Jewish claims to an ancient presence in Jerusalem. One clay seal will not end the debate, but it is strong ammunition against modern enemies of Israel who would deny the Jewish people’s ancient roots in their land.